If you are using the windows vista of the later version of windows that is windows 7 then you must be familiar with the the picture puzzle gadget. By default there are 11 pictures and there is no setting available for us to change the picture or add new. I was wondering if i could add or change the default picture and finally found a way to do it. Navigate to “C:\Program Files\Windows Sidebar\Gadgets\PicturePuzzle.Gadget” here C: is the root drive where the system files are located it might be other than C: in you computer, but it is C: generally. Now get the image you want to appear in the picture puzzle. Now resize your image to the size of 108 X 108 pixel with the bit depth of 32. You can do this in the Paint itself. Just open the image using paint press ctrl + w. Press the pixels button and uncheck maintain aspect ration and give the value 108 to horizontal and vertical. Now save the picture in the *.png format, you can give any name in the field Astrix . Copy the image you just made in to this folder “C:\Program Files\Windows Sidebar\Gadgets\PicturePuzzle.Gadget\Images” and rename the picture as 12.png. If you are able to copy your file to this folder then congrats! if not then stay easy here’s how to fix that. *NOTE: Here we are changing the security of the system drive. Changing the security of critical system folder can make your computer vulnerable to the the virus attacks. But changing the security for this folder should not be harmful. Now try copying that image.. NOW if a message appears for administrative permission click continue. There should not be any problem. Now locate the file settings.js which can be found on “C:\Program Files\Windows Sidebar\Gadgets\PicturePuzzle.Gadget\en-US\js”. Right click the file and click edit. On the 7th line change the value to 12 and save. If you cannot save the file then again you have to change the security setting for that file. Now there should not be any problem editing the script file. Now the picture should be available in the puzzle gadget. Enjoy arranging your custom image. You can add more pictures in the image folder just keep on increasing the numbers from 12 to 13 and so on….Enjoy!! HOPE for the comments if there is any mistake here. HELLO every one! This is the tutorial for an Avatar makeover. I am assuming that you understand the basic of Photoshop. If you don’t know what the Photoshop is or its tools, well then this tutorial is definitely not for you. I will be breaking the process into steps for making avatar, for the ease of understanding. 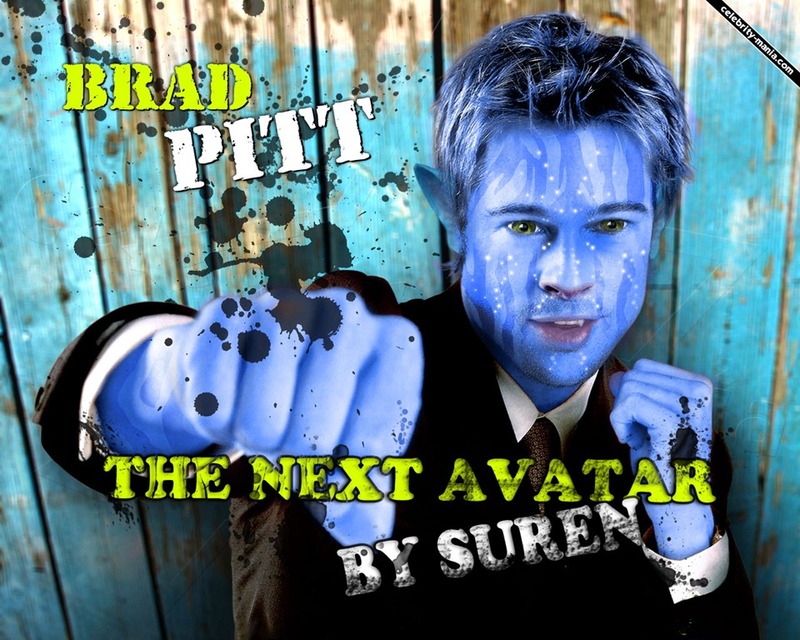 Get a photo that you want to give an avatar look. 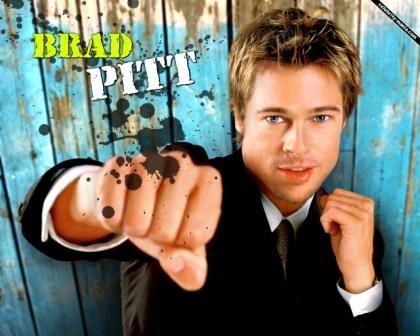 I downloaded BRAD PITT’s photo which I found on Google. If you like to use the same photo then download it from here. Open it on the Photoshop. Now create the next layer and fill the layer with the blue color. You can choose any medium tint of blue that suits you OR you can use this color #2E55A9. Just put this hex value in the color picker. 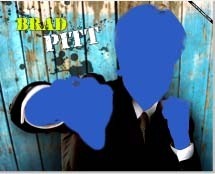 Now delete all the blue part except the one covering the skin. Now the trick is to change the blending mode of this layer to HUE. You can use PEN tool to make the selection or the lasso tool which ever you are comfortable with. Then touch up the edges using the eraser tool. Use the eraser tool of hardness "0" and decrease the opacity of the eraser tool to the minimum and touch up the edges so that the color blends nicely around the hair. If you accidentally deleted the blue color around the skin…..well don’t worry use the Brush tool and paint with the same color. Just don’t use the hard brush. 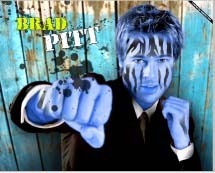 After the above step you should have a nice bluish avatar look to the photo. Now get a zebra pattern. I again searched the net for the pattern. Just find the b/w zebra pattern on the net and bring the pattern on your working window. If you like using the pattern i used get it from here. Now transform the pattern and put it such that it covers the portion of the skins. You can make different layers for the purpose. Just cover the skin and delete the portion of the pattern that you don’t like to use. Use the picture below as the reference. Get the similar look as below. After putting the zebra pattern use eraser tool to delete the unwanted portion. Here again use the softest brush and turn down the opacity of the eraser tool to somewhere between 20 to 30. Delete at the edges to nicely blend the pattern to the skin. NOW the main trick is use the layer blending option for the zebra pattern. Use the blending mode to soft light for this layer. BLENDING option can be accessed on the layer palette. Just change from normal to the soft light. Also decrease the opacity of the layer so it has a light blue look. In this step we just have to attach the ear and eye. I cut the ear and eye from the original movie poster. YOU can download the ear and eye directly from here EYE, EAR. This should not be too difficult. just attach the ear and eye at their respective place. Use the transform tool ctrl+T for the windows to transform them to the size. Press ctrl and transform to transform to the perspective. To blend the eye, use the eraser tool with the setting as above and delete at the edges until it fits nicely. In this step we add the white glowing spots to the faces. To make the spots use the pencil tool and make spots using the white color, always remember to use the separate layer for all of the steps. Draw spots using different size of the pencil tool all over the faces. Don’t worry if you are not getting the glow you wanted we haven’t reached there. Now to make the paint glow we use the layer style. We just use the two effects inner glow and outer glow. Use the faintest yellow color for the outer glow and the faintest blue for the inner glow. Adjust the setting till you get the desired glowing effect. Ya we are almost done. In this step duplicate all the layers and merge them into one. Then use the burn tool to darken the pictures at skin corner to get the finishing dark look. You can now play with text and add texts like i did. That it that you have to do for the avatar look in the Photoshop. ENJOY! !